Martial arts training provides a powerful way of instilling confidence in people. Okinawan Karate Academy's students become more relaxed in any situation—whether they are in danger or are just completing a task they've never done before. Contact us for more details on our martial arts techniques in Kalamazoo, MI. A kata is a set of prearranged karate movements that are designed to develop certain abilities in the karate student. It is from kata that all karate techniques and principles come. 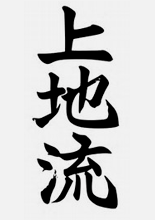 There are eight katas in Uechi-Ryu, but Sanchin—the most basic karate kata—develops the mental principles that are necessary to truly understand karate. At first glance, Sanchin may appear to be a simple exercise, consisting of basic movements. However, it is a form of moving meditation that teaches the student to blend the physical, the mental, and the spiritual. The name Sanchin translates to three conflicts or three steps. The emphasis of Sanchin is the mental principles, but basic physical principles are taught too. The remaining seven katas are sometimes called the fighting katas because they show the self-defense aspects of Uechi-Ryu more clearly than Sanchin. All of these advanced movements are derived from the seemingly simple moves of Sanchin. The learning of these fighting katas means much more than just memorizing the movements and doing them in the same sequence that you were taught. The student must be able to actually use each technique effectively. This learning process cannot be rushed. The student must take the time to study each movement and see how it can be applied not only by itself but in conjunction with the preceding movement and the following movement. This is quite important—simply for the reason that there may not be just one application for each movement. While doing kata, one must try and visualize each technique in an actual circumstance. The purpose of studying Uechi-Ryu is to develop the student (karateka) into a healthy, well-coordinated person both physically and mentally. We train to master the weaponless art of self-defense. The karateka must always be on his or her best behavior—taking a modest attitude toward others, setting great value on courtesy among people, being careful of their speech and actions, and being diligent in their study. The karateka must not become a nuisance to others by using harsh language and committing violence towards others. The karateka must not bring disgrace—even in the slightest degree—to their own school, Uechi-Ryu, and themselves by making shameful and rude comments or actions. The karateka must not be self-absorbed and shouldn't run to the easy and idle way of life. He or she must make a constant effort to continue hard work, enabling them to fill their mind with the vigor of life. One must first be able to control oneself before attempting to control others. Without a good balance and control of oneself, you can neither avoid an attack nor apply effective martial arts techniques on others. A person must always keep in mind of becoming one with the attack. Regardless of the type of attack, you must join with it. It is not how strong you are. How correct you are is what counts. One shouldn't be watching others doing kata, but paying attention to your own kata. If you are watching someone else doing kata, you can't be one with your own martial arts techniques. The best way to defend yourself against an attack is to get out of the opponent's range of effectiveness. You can back up, sidestep, or circle around inside of the attack, but you must maintain your range of effectiveness at all times. 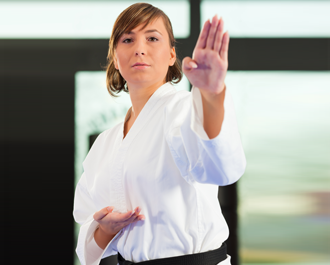 Our karate master can help you learn the most effective self-defense.